Barbara Edelstein and Jian-Jun Zhang's shared interest in the relationship of nature, mankind and culture brought them together to draw inspiration from myths of wishing trees. 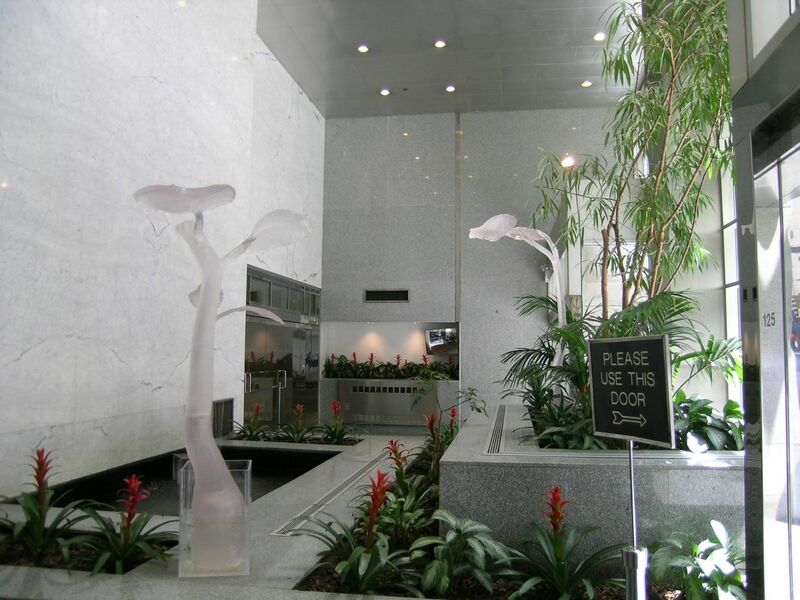 The 6.5 ft and 7.5 ft tall trees are made of resin set within Plexiglass boxes full of clear water. Each of the fifteen trees' branches hold leaves from dissimilar plants. The installation was shown first at The Fifth Gwangju Biennale in Korea in 2004. 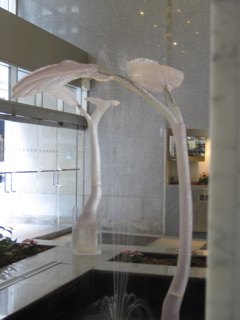 Yi-Chen Zhang wrote about the collaboration: "One of nature's finest and arguably most humbling displays is a cotyledon – the sprouting leaflets that tremble under the fierceness of the atmospheres, and, at the same time, possess a surprising resilience that bespeaks of a life form teeming with potential, with hopes and dreams. Wishing trees, as they are called, have been represented by grand mythologies and folklores of distinctive localities as entities from which hope springs, from which wishes of the supplicants are granted. They are indeed an oasis of idealism and aspirations – of things that could be – in the vast expanse of realism that often stifle the spiritual side of mankind. 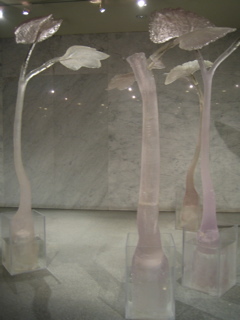 The cotyledons of our young Wishing Trees grow out of clear water that at once assumes a stillness and reflection associated with the clarity of thought, and displays the gentle movements reminiscent of the rhythm of nature – the ebb and flow of life, death, and rebirth – creating a sense of renewal that embodies the spirit of humanity. 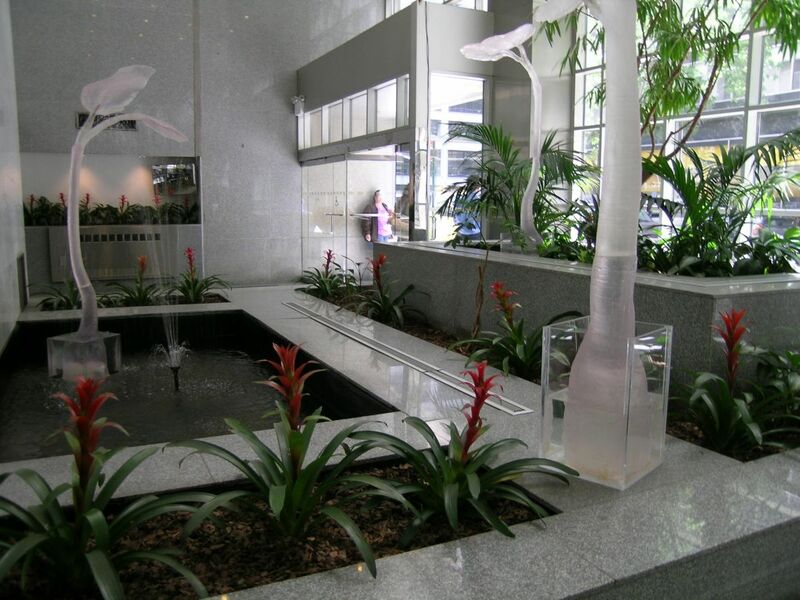 The two leaves on each tree are shaped differently to represent the diversity in origin, and form a harmonic fusion of cultures in this garden of light that harbors the collective hopes of the human race, untainted by the limitations imposed by reality. The audience is requested to take a Leaf Poster with them, write their own wishes on the left-side leaf, take a photo, and send it to the artists. Their individual wish will contribute to a collection of all the participants' wishes to produce a continuation of this sculpture, an extension which adds to the richness of humanity's dreams. We should hope that their wishes, like the Leaf Posters that will disperse across the globe, will grow just as vividly as befits the spirit of nature." 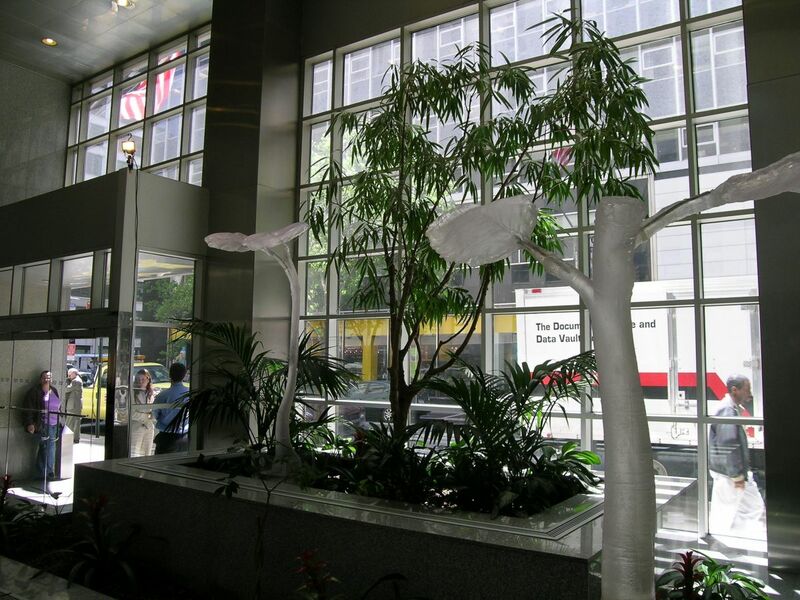 Barbara Edelstein & Jian-Jun Zhang: Garden of Wishing Trees is curated by Elisabeth Akkerman and is sponsored by the Time Equities Inc. (TEI) Art-in-Buildings Program. TEI is committed to enriching the experience of our properties through the Art-in-Buildings Program, an innovative approach that brings contemporary art by emerging and mid-career artists to non-traditional exhibition spaces in the interest of promoting artists, expanding the audience for art, and creating a more interesting environment for our building occupants, residents, and their guests.